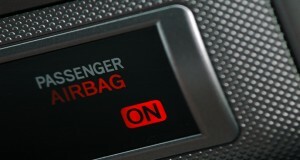 WASHINGTON – Consumers Union, the advocacy arm of Consumer Reports, today expressed concerns about the recall of defective Takata Corp. airbag inflators that have reportedly been linked to more than 100 injuries and at least four deaths. The National Highway Traffic Safety Administration today expanded the number of vehicles with potentially defective airbags to 7.8 million. The vehicles on the list are manufactured by ten automakers. The agency is urging vehicle owners to act immediately on recall notices to replace the defective airbags. Consumers Union, the public policy and advocacy division of Consumer Reports, is pleased to see NHTSA’s urgent advisory to car owners this week to act immediately on recall notices they have received regarding the reported safety hazards of Takata Corp. airbag inflators. The reports of these airbag inflators, installed in a number of U.S. and foreign makes and models from 2000-2008, rupturing and sending shards of metal shrapnel hurtling at the driver or passenger at high speeds, are deeply troubling. There have been over 100 reported incidents, including reports of at least four fatalities. The recalls were originally focused on vehicles registered in areas with “high absolute humidity,” but the dangers could be far broader. We believe it is essential to ensure the widest possible public awareness of this hazard, and for NHTSA, automakers, and suppliers to provide consumers with prompt and effective means to address the hazard. The number of recalled cars continues to climb, and consumers need assurances that NHTSA has an accurate count of the affected vehicles. We also believe, as the recall list and NHTSA’s response evolves, that all options to ensure maximum safety must be considered as quickly as possible. There are reports of potentially months-long expected backlogs for safe replacement parts. Toyota, for one, has announced that while it waits for replacement parts, it is disabling the airbags and advising car owners not to drive with passengers in the front seat. We are concerned about whether this is an acceptable interim solution from a safety standpoint. And is NHTSA discussing other options with carmakers, such as providing loaner cars to consumers, or vouchers for rental cars? We would also like to know what NHTSA is doing to actively engage with car makers, Takata, and potentially other suppliers to expedite the manufacture and supply of safe replacement parts for all cars that need them. Recalls involving the defective inflators began 18 months ago, and Takata and some car makers have been aware of the hazard for far longer. We look forward to answers to these questions. We urge NHTSA to vigorously pursue this matter, with Takata, with the affected car makers, and with the public.